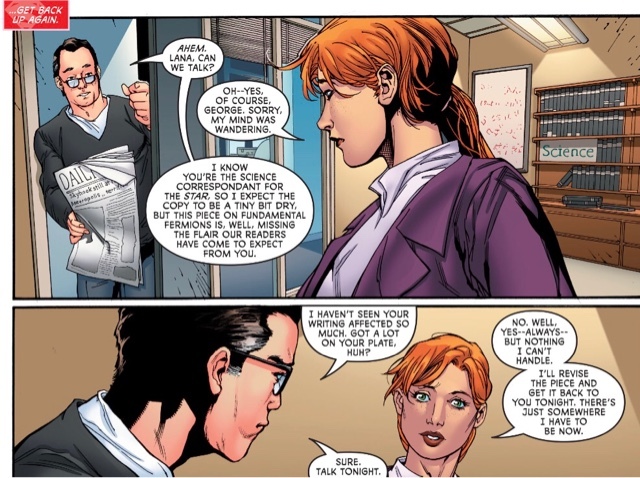 Lana Lang is determined to learn the fate of Zeke, nephew of her partner John Henry Irons, otherwise the superhero Steel. As Superwoman, she caught up to Zeke's long-ago abductor, the horror known as Skyhook, but he got away. She's spent the day at her Daily Star science reporter job, but failed to impress boss George Taylor. 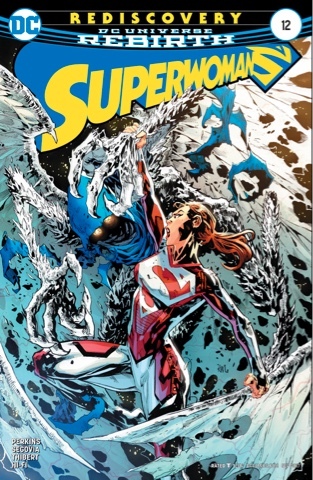 Returning to Steel's super-science lab, she investigates the mystery of her super powers - they came to her in a blast from a dying Superman, but that energy has been reclaimed... how can she still fly and manifest energy? 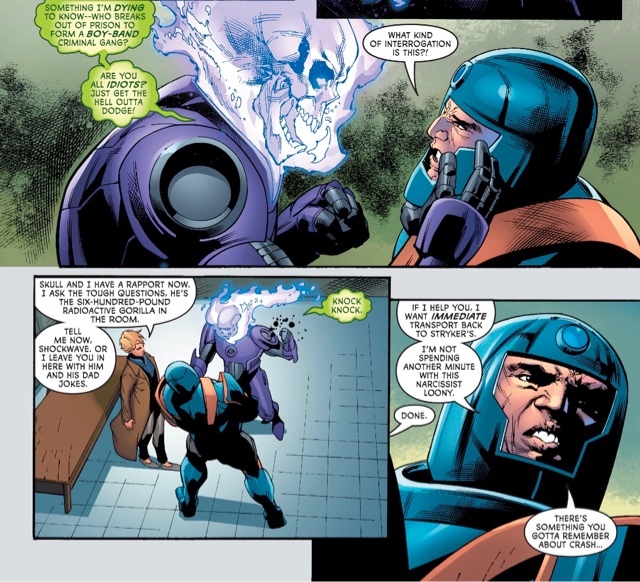 Across town, recovering supervillain Atomic Skull captures escaped super-goon Shockwave, as the Metropolis Special Crimes Unit look for leads on Zeke in their own way. In Lana's apartment, cracks are showing in her relationship with John Henry. 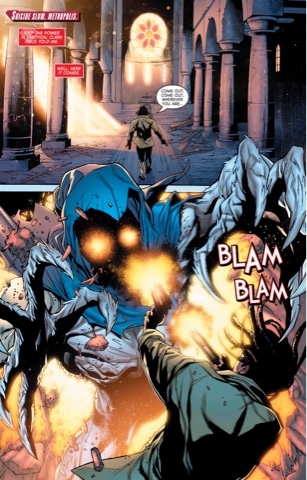 A church in Suicide Slum is the setting for the final battle between Skyhook and, well, everyone - there's Lana in her Superwoman guise, John Henry and niece Natasha in their armoured outfits and her dad Clay back in his old supervillain mode as Crash. Lana is afraid Natasha and John, being so close to the lost Zeke - no one says so, but the presumption seems to be that he's dead - will kill Skyhook. Whether they intend to murder the villain, they obviously don't want Clay to do so. Can Superwoman figure out enough about her powers to save the day? Well, this is the best issue yet. Writer K Perkins has pared Phil Jimenez's claustrophobia-causing cast down to the bare essentials - Lana, the Irons family and the SCU gang. OK, George Taylor is in there, but just to point out that if you're doing a job, you have to focus. Thank you George. For the first time in ages Lana is someone I can root for; sure, she misses that there are more reasons for John to be upset with her than simply her most recent actions, but she doesn't throw a single hissy fit this issue. The shrewish anger that has defined her in Superwoman has gone, instead we've a thoughtful, determined heroine. The other cast members are similarly likeable, with Atomic Skull's run-in with Eighties nobody Shockwave an especially nice character-based action scene. Were I Perkins, I'd be tempted to ignore the mystery of Lana's powers for awhile, but she's facing the problem head on, with confidence, and good on her for that. 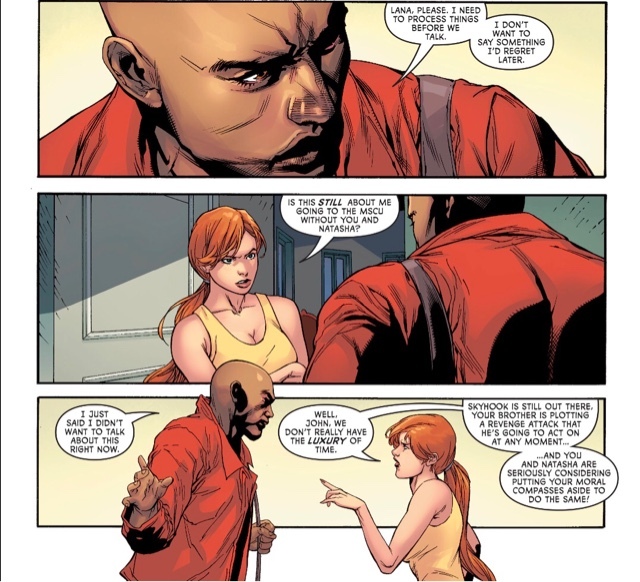 Hopefully we'll find out once and for all what's happened to Zeke... my money's on Skyhook being dead and a case of Stockholm Syndrome having twisted him into the version of the villain we're following. Penciller Stephen Segovia, inker Art Thibert and colourist Hi-Fi produce open, clean, strong, high-energy artwork that's a pleasure to look at. Whether in powered or regular mode, Lana has visual charisma, while what little we see of Steel and Natasha (Steel, Starlight, Vaporlock... I've lost track of her superhero name) makes me want to see more. 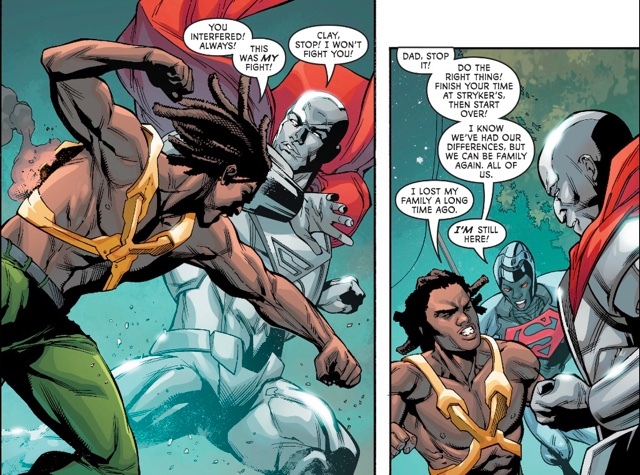 Steel delivers one of the most powerful punches I've ever seen on the comics page, while Skyhook is massively creepy. Kudos, too, to Josh Reed for his understated, splendid lettering. I like Ken Lashley's cover, coloured by Hi-Fi, a lot, Renato Guedes' variant slightly less so - the composition is terrific, Steel looks great, but Lana is too inhuman. Overall, this is a winner - if you tried Superwoman but jumped off during the overlong first arc, give it another chance. I think you'll be pleased you did. 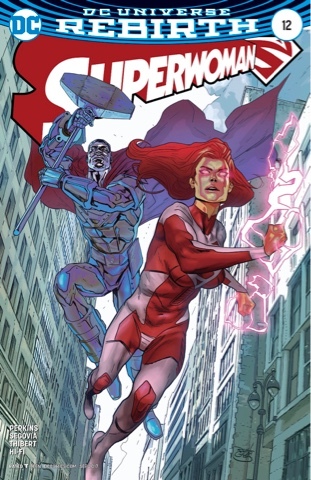 I am so out of touch with DC I didn't even know there was a Superwoman book, but now you've brought it to my attention, all I can see is that terrible costume. She looks like a palette-swapped version of Strange Visitor - did they ever do a Red/Blue storyline with her? - where it starts off with some good elements like the red/white colour scheme and the bold shield centerpiece, but the further you get from the chest, the worse things get. I mean, what is even happening with her super-trousers there? Is she wearing fishing waders with the knees cut out? And yeah, the current Superwoman costume in pretty weird as designs go. It's as bad as the name Strange Visitor for a superhero. Great review. As usual, we liked the same panels. I am hoping the moping, angst ridden, angry Lana is in the past. She can have troubles but she should be striving to overcome them, not wallow. Absolutely. And I'm now obsessing on the idea that Lana might have some kind of Strange Visitor/Kismet deal.